Knowledge is power, and when it comes to the Forex market knowledge is the difference between an earning trader and a losing trader. A well educated trader is the one who knows all the basic terminology and exploits it to his own benefit. As a Forex trader you never stop learning, this what gives you the advantage over other traders, this is what separates you form the herd of traders and instead of following this herd you lead it. A good Forex education will help you make the right trading decisions and make wise investments, and as you keep on learning and gaining more and more knowledge you will see actual results as gains from Forex trading. Here at Studyforex you will find everything you need to become such a successful trader. If you are a novice or a professional trader you will find here all the basic terminology and all the articles regarding Foreign exchange education. 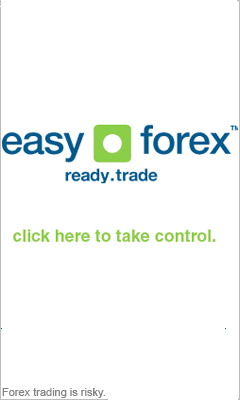 The site is designed to guide you through a journey in the world of foreign exchange trading. Beginning with the origins of the Forex market and a little bit of history and moving on to more advanced topics for the more experienced traders. This site is aimed to give you all the tools and education you will need to start trading the Forex market and will help you to improve your trading using various FX trading indicators and going through more advanced topics. Our Forex education section is set to lead you on the highway to success, but don’t be alarmed, all the articles are written by our team of professional and experienced traders and is written in a very simple manner. The articles are designed as a step by step course leading you from the simplest terms up to complex mathematical tools to make you the best FX trader you can be. So what are you waiting for? Let’s start trading….